If you’d like to Loose weight, try turning your subconscious mind into your ally with the Self-Hypnosis for weight loss CD. This CD offers a convenient and portable self-hypnosis session that directly addresses the part of your mind responsible for habitual patterns of behavior such as over eating. It also increases your awareness of the benefits that come with a healthier life style. 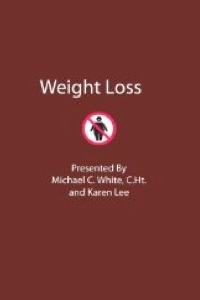 Using this CD on a regular basis will lead to a healthy lifestyle free from over eating. This Cd features the work of two separate hypnotist giving you different styles of hypno therapy to choose from.